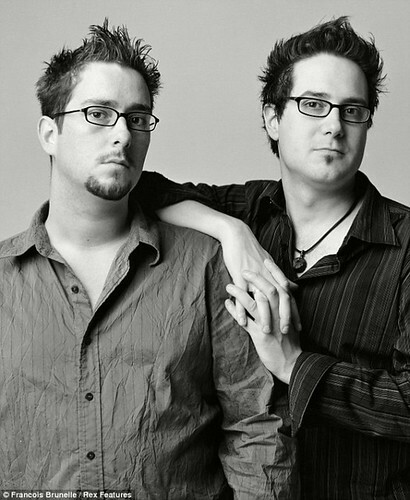 Read more of Brunelle’s story at Visual News. 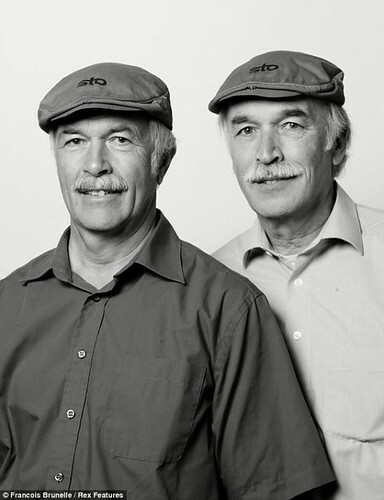 Then see more doppelganger portraits (and follow Brunelle approaches his goal of photographing 200 pairs) on his website and Facebook. And follow Sophie Robhemed, a journalist on the hunt for her doppelganger, as she seeks her double. 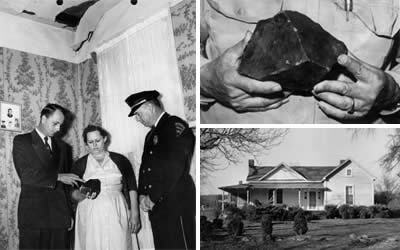 As we stare into the mirror, we might recall that it was on this date in 1954, in Oak Grove, Alabama, near Sylacauga, that a meteorite crashed down through the roof of Ann Hodges’ home and struck her– the first documented extraterrestrial object to have injured a human being in the U.S. The grapefruit-sized fragment crashed through the roof of her frame house, bounced off a large wooden console radio, and hit Hodges as she napped on a couch. The 31-year-old woman was badly bruised on one side of her body but able to walk.